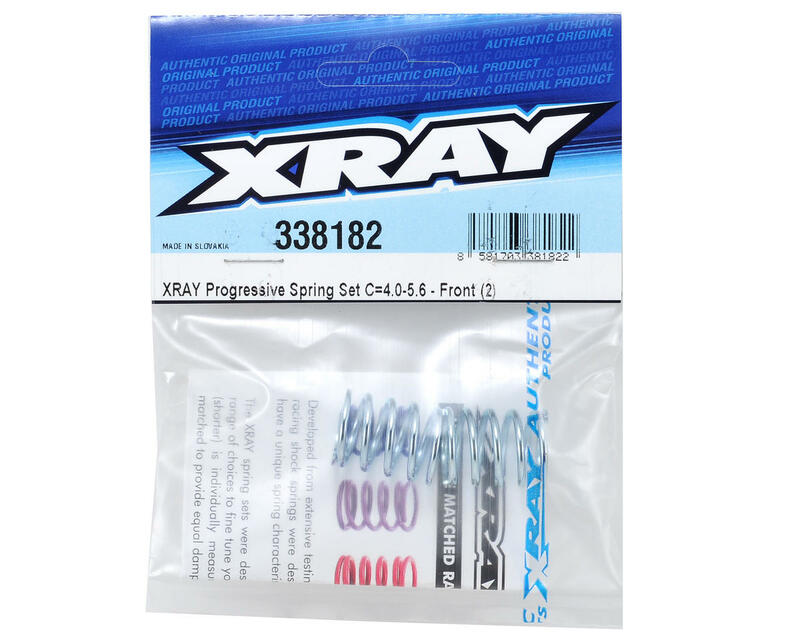 This is an optional XRAY Progressive Front Shock Spring Set, and is intended for use with the XRAY NT1 1/10 Scale Nitro Touring Car. 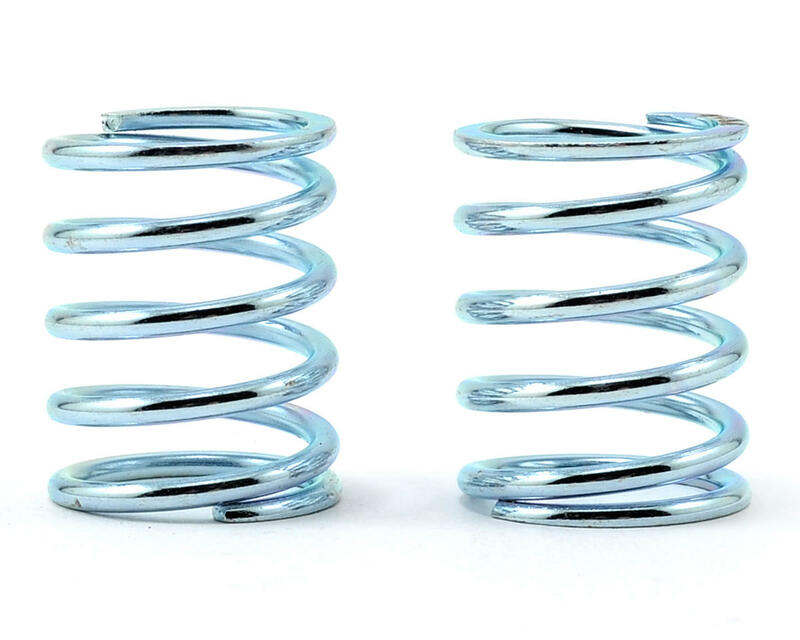 These springs are softest at the beginning of compression but become harder as the spring is compressed more in the middle, with the highest stiffness at the end of spring compression. These springs can provide improved steering at the beginning of the corner, but will also help to resist rolling in the middle of the corner as the spring becomes stiffer. XRAY springs are individually measured, and inspected to provide you with matched springs with identical damping characteristics. During the selection process each spring is compressed in several fine increments and the values are recorded. Each spring is then matched with another spring of identical characteristics providing you with the best springs possible.